Kendal Calling 2019 early-bird tickets go on sale today (24th August) at 10:00 am. The festival will take place from Thursday 25th - Sunday 28th July. Set in the stunning grounds of Lowther Castle, Kendal Calling has it all, major international headliners, the Glow Tent where you can dance til you drop, the beautiful Woodlands Stage and Lost Eden with its stunning art installations. Add to this Chai Wallah's, Tim Peaks Diner, The Real Ale Festival plus a great selection of locally sourced food and you have the winning recipe for a great weekend in the Lake District. 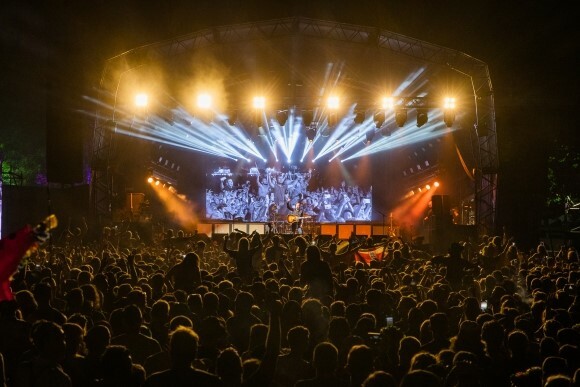 No details of the 2019 line up have been revealed, however this year's Kendal attracted the likes of Catfish & The Bottlemen, Plan B, The Libertines, Hacienda Classical, James, Ocean Colour Scene, Shed Seven, The Sherlocks, White Lies, The Wailers, Declan McKenna, Fun Lovin' Criminals, and Peter Hook and the Light.